Home › SEO › Do WordPress Blog Posts Help SEO? Do WordPress Blog Posts Help SEO? Content is king. We have heard it time and again. Heck, I even wrote the article Why You Should Hire a Content Writer to help explain the importance of blog posts and content on a website. Unfortunately, millions of business owners continue to get swayed into believing that SEO is a magic pill that you simply have to pop into a website and it will rank on the front page of Google search. It does not work this way. The most successful way to rank on the front page of Google search is to create consistent, quality content while also building a social media presence that can share the content. If you want to rank better in Google search reach out to me at jwojdylo@gmail.com as I have several packages for both SEO and social media. Ranking on the front page of search can be the difference in expanding a business and closing the doors. When I first started my Internet “adventure” back in 2008 WordPress was one of the most efficient ways to get a website up and running at an affordable price. I fooled around with 1and1 and GoDaddy but ultimately found that Dreamhost offered a one click install for a WordPress blog. Most of the themes were free at the time and being responsive to mobile was not a concern. After playing around with WordPress for about 20 minutes I was 100% certain this was going to be the future of websites and submitting content that could be crawled and ranked by Google. It was too easy to not become the go to source for blogs and websites. In fact, I would argue that posting a WordPress blog update is easier then sending an email. If you can click a mouse and type words you can publish a WordPress blog. If you are an efficient typer and have no concerns getting words on a page you could easily publish a 500 word article in less than 30 minutes. In fact, I will finish this article in less than 20 minutes. What you must understand about SEO is it takes Googlebot crawling a website or article before it can index and then rank that particular article. One of the greatest things about WordPress is the functionality with Google search. Unless you have a really funky or messed up WordPress theme you are not going to have any problems getting your new blog posts crawled and indexed in Google search. The more quality content you provide and the more links pointing back to your website the higher you are going to rank in Google search. This is not to say that WordPress is the only option when it comes to SEO with a blog or website; it is simply the easiest. If you are looking to build out a web presence and you are just getting started I would suggest going to WordPress.com and creating a free blog. If you have opened an email account or paid a credit card online you can create a free WordPress.com blog in less than 30 minutes. You can then get started on building content. You may also want to create a Flipboard magazine to go along with the content created for the WordPress blog. More on that here: How to Use Flipboard for SEO and Traffic. You can test a few website addresses to see what is available. You will be surprised to find there are many unclaimed WordPress.com URLs. I wouldn’t worry about the exact URL too much as you are just going to test the waters. Pick a URL that makes sense and create the website. After you click create website, go through the steps to create a profile and get rolling WordPress will ask you if you want to purchase the domain and hosting for around $100. Anything under $150 a year for a domain and hosting is not a bad deal. Before doing that, try out WordPress with your new website that is free. If you have any questions or concerns about creating a brand new WordPress website use this link: How to Publish Content on the Internet for Free. You can also feel free to comment below and I will do my best to help you through the process. I would urge you to click around just to see what happens. This is not a business website that is being seen by every customer. This is a website that is a test to see if you want to purchase a domain and install a WordPress theme. Before thinking you can rank in search easily it is important to recognize that some keywords are much more competitive than others. I like to explain it this way; if a business or individual can make a large sum of money on a keyword phrase it is going to take a lot more time and effort to rank for that particular term. It makes sense that “mortgage home loan” would be harder to rank for than Saxapahaw Bookstore. Also remember that competition can be social media websites as well. I have noticed many Twitter accounts, Facebook pages and Flipboard magazines that are on the front page of Google. If you are hoping to rank for Personal Injury Lawyer SEO it will be tremendously more difficult than Murphy, NC Hair Stylist. The companies that are making money off helping injury lawyers are probably pocketing more than a hair stylist in small town North Carolina. If you need help better understanding SEO and how to rank in search do not hesitate to reach out to me at jwojdylo@gmail.com. I offer a number of monthly packages that can help a business reach the front page of Google search for their respective keyword phrases. 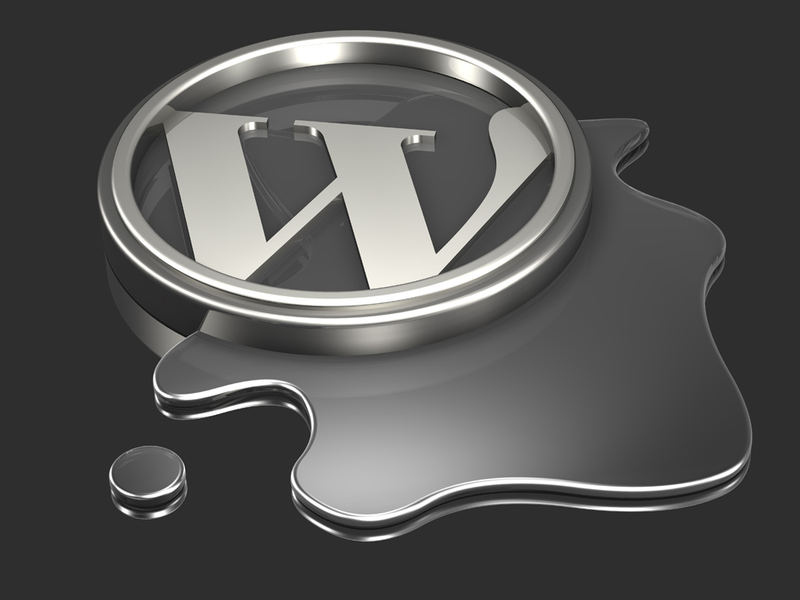 One of the huge advantages of WordPress is the ability to create new blog posts easily. Each blog post is basically a new page under a particular domain. When looking at the most successful websites on the Internet you will likely notice that they have thousands and even millions of URLs indexed by Google. Imagine how many Wikipedia pages there are. Think about all the pages Amazon.com has indexed. While your business will likely never reach tens of thousands of pages indexed it can reach 1000 or even 5000 without spending huge sums of money. If you have WordPress installed you do not have to go through a song and a dance trying to get a new piece of content published. This is a question that gets asked quite a bit. There is not one set in stone answer. It is all based on the preference of the user. In the last few years Google has pushed Google Plus into Blogger which angered some users. With WordPress not being owned by Google, Apple, Facebook or Twitter it stands to reason they would not force users to have a specific social media profile. It will be interesting to see who gobbles up WordPress in the near future. If you are interested in social media and how it affects SEO please read Facebook Likes and How They Do Not Affect SEO. This will give you a basic understanding as to why I like Google Plus, Flipboard and Pinterest much more when it comes to social media and ranking in Google search. If you want to get the most out of all Google products it would be worth it to create a free Blogger account and compare the interface of Blogger to WordPress. In my personal opinion, WordPress is easier to use than Blogger. Chapel Hill Social Media and Internet Marketing Company | Do Twitter Tweets Get Indexed By Google and Affect SEO?